Whew! I am finally catching my breath after this weekend! From the half marathon, to birthday parties, to surprise concert tickets — this weekend was one for the books. And honestly, I am so glad to be back to the normal grind! One highlight of the weekend was an awesome concert I went to on Monday night! I love live music. And I was so pumped when I got the opportunity to partner with SeatGeek. 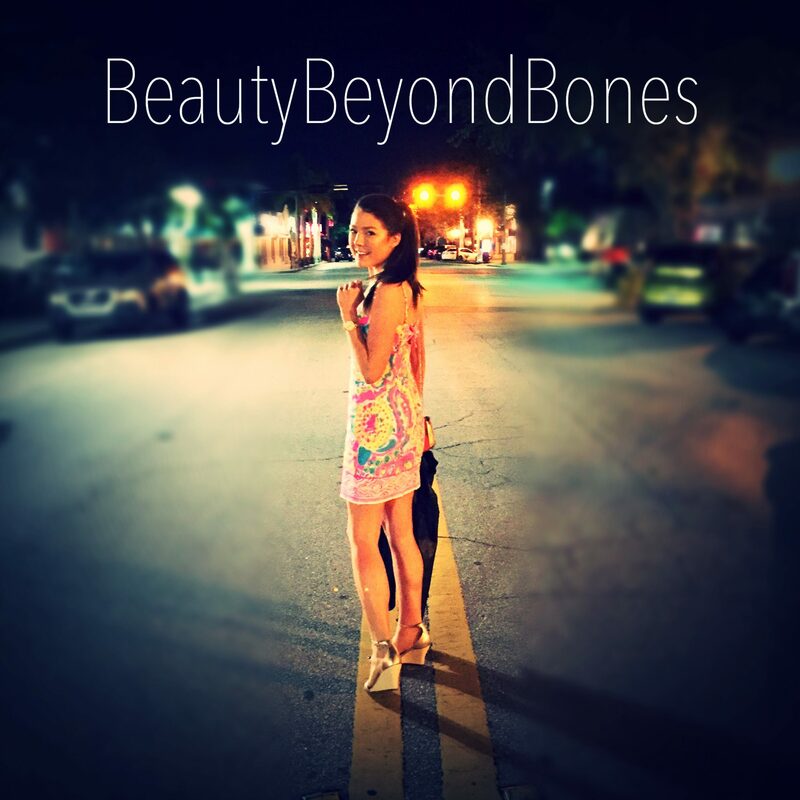 So I’m thrilled to share that when you use my code: BEAUTYBEYONDBONES at checkout, you get $20 OFF of any concert tickets, sporting event, Broadway tickets, comedy shows – you name it! YAY! But this weekend was kind of an accurate snapshot of my recent mindset shift. And that is: to say yes to everything. 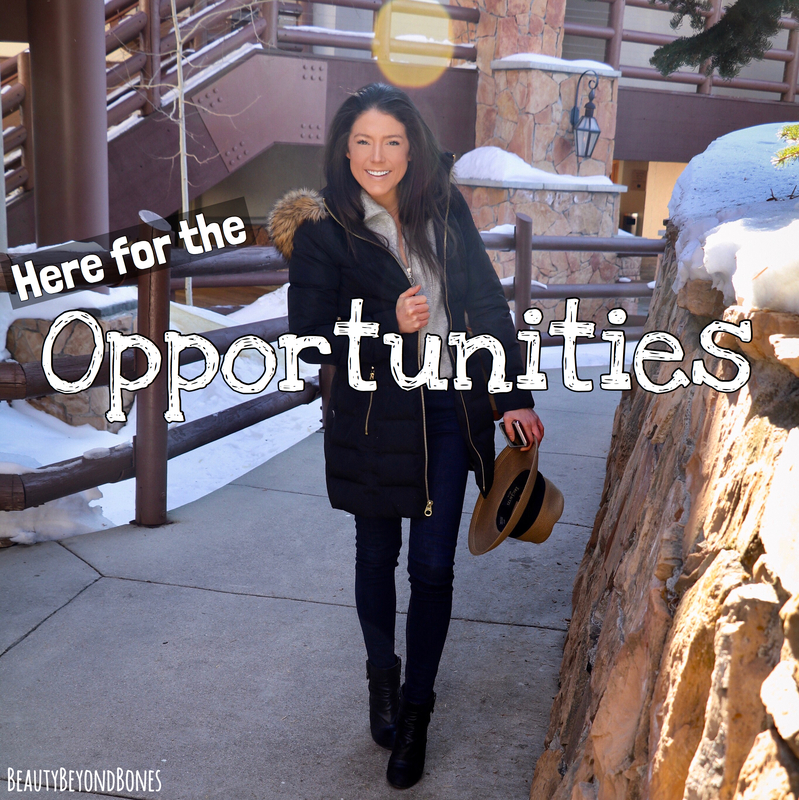 Invitations, opportunities, new experiences…I am HERE FOR IT! Granted, it resulted in me running a half marathon on 60 minutes of sleep, but you know what? Life is short. So soak it all up. During my anorexia, I spent two years completely pushing the world away. I isolated myself, didn’t respond to a text or phone call, shut loved ones and friends out of my life. And so one of the biggest, and most important aspects of my recovery is to say yes! To welcome adventure and spontaneity and togetherness and FUN into my life with open arms! But all that to say, my most recent manifestation of my life-embracing ways, comes in the form of dating. And you know what? I’m having an absolute blast with it. I’ve taken the pressure off! It’s no longer this high stakes situation where I’m on the quest for my one true love and I have to be able to tell from night one whether or not this is The Man God wants me to marry. Because, honestly — that was an exhausting mindset. And frankly, the magnitude of that thinking made me have a bit of an approach avoidance with dating entirely. But now, while I am absolutely still dating with the intention of finding my husband, I’m just going into each date from the approach of potentially meeting a really great person, and having an interesting conversation! I don’t know, I just figure…now is the time. God has brought me on this (admittedly) tragically beautiful path, only to show me how fulfilling life is when you say yes to opportunities and relationships and people and love. And so now is the time to surrender my dating to Him as well, and allow Him to work. But I’ve got to do my part too, and be open to the opportunities presented to me. I’ve got to get out there, and throw a bunch of darts at the wall, so to speak. Because one thing is certain: God will absolutely surprise me. He always does. But He will. Because He’s got everything under control. He’s got a plan, and I can rest assured that, no matter what…there’s no way I’m going to miss my future husband. God is orchestrating it all together. And I can take that truth all the way to the bank. Now is the time. To do something we’ve never done. To jump into the deep end, head first – without water wings – and sink or swim. Because that’s living. That’s the life God has created us for: one of abundance. One of love and joy and freedom that comes from Him. Take it from this former anorexia sufferer — that is what life is all about. This week, let’s cast our nets into the deep water, and see the abundance that God has for us when we surrender it all to Him. Previous Post Crimson Matchstick Salad! ♡ You’re most welcome. Congratulations on your recovery progress. As always, my friend, your words are truth. I enjoy traveling through the every day places with you. I love your approach to dating. It’s about great conversation, not pressure. Deep sigh. It’s been a hard week of job opportunity. rejection notices here. But I asked for God’s plan, not mine. Same with a husband. His plan, not mine. God holds us in the palm of His hand. . . hopefully we realize it. The first step is always the hardest,but you’ve done that part. Now keep on moving. Good luck! I’ve been meaning to get back into dating at some point, too. I’m considered “hot property” at this phase in my life because I’m 41, but I’m single (never married) and have no kids. Go figure!! Go you! I’m impressed with your can-date attitude!! Here’s to us finding men! God will reveal the men He has prepared specifically to both of you. God is the best matchmaker. Your site is so well put together. It is inspiring and the content is fantastic. Very well done, well written and presented, loads of solid content. Thank you for sharing, and that man will be very fortunate to have a girl like you. You are very graciously welcome so much. You are a great lady and friend to be kind to. Thanks for sharing that! I look forward to reading it!!! You are very graciously welcome. i hope that you like it. It makes two great ladies in NYC. I see you having fun oh Ana. Yeah, writing blog makes me happy! Oh Ana, makes you remain happy. You are extremely beautiful when you are happy. Cute face by the way. You are very graciously welcome. You are a great lady to be kind to. Your faith is an inspiration! Time is the coin that is constantly being spent for us. That’s right – spent FOR us. It will leave our pockets and purses at the same rate through our whole lives. But we decide what we get in return for the spend. A marathon on 1 hour’s sleep or sleeping away a beautiful morning? Fretting in an apartment or running into the world to see what’s there? I’m so glad to see your choices are getting better!!! Yay you! Of course! Have another great – but maybe less tiring – weekend!! Haha yes definitely!! You too! You, bet … right back at you! By the way, I recently designed 2 Lenten t- shirts that are on Amazon. If you have time and don’t mind, let me know your thoughts. Feedback is always helpful. Thank you! You, Bet… thank you! By the way, I recently designed 2 Lenten t- shirts on Amazon. If you don’t mind and if you have time, please let me know your thoughts. Feed back is always welcome. Thank you! Never underestimate the power of prayer, faith and love! But especially the power of LOVE! A true soulmate is like a mirror, reflecting back to you the aspects within yourself that are holding you back from being your true self. Look for a soulmate first. Permit me to say, I think you have made a crucial change in your thinking. It shows a lot of growth. You realize you are healed when you say not, “I wonder if I am worth it?” but “Is he worth it?” Dates then become not the desperate plea for acceptance, but the desire to be with someone of our choosing, one who compliments us, because we are strong, and we don’t want to risk anyone who would diminish us. Unsatisfactory candidates are quickly dispatched, such as the man you spoke of a few weeks ago, because they are not healthy for us. It took me most of my life to realize the woman whom I date should be measuring up to me at least or taking me beyond where I am, not kicking me into the gutter. I commend you. At this point, I go to dinner with a woman whom I know. We are polar opposites politically, but we do enjoy each other’s company, and we accept each other as we have found each other. We will never be lovers, but we will also never hurt each other. I look forward to your next blog. Super cool! If you’re looking for a perfect person to spend your life with you won’t find one so don’t look for perfection but rather one who your gut feeling shows by body language and conversation is on a journey with God too, and willing to have his sought for partner lovingly point out his weaknesses without taking it as an attack. You too should be willing to let him point out your weaknesses without feeling devastated as long as you know that is done not in anger but led by God to help you in your walk with God. Very few marriages are able to handle that but its important. When the relationship looks good after a reasonable time of courtship be alert for any danger signs as if you don’t then married life could be miserable. Thank you Katie! Aw that’s kind of you to say 🙂 big Hugs to you! Awesome post… Great advice. Needed that. I will admit that dating isn’t my strong suit. Actually it’s non-existent. LOL. Never been on a date ever. I’ve tried the apps. They don’t work for me. Jesus said that He can so that we may have life, and life to the fullest! Live it, woman of God! You are kind of the counterpart to my oldest son. Single, 23, graduating from college next month, finishing up his college baseball playing career, beginning his baseball coaching career in North Carolina in May. He’s living life to the fullest and jumping into life with both feet, trusting in Christ! If you find yourself in Greensboro May-July, look him up. He’ll take you out to dinner and a baseball game (not necessarily in that order). Good for you Caralyn! I will continue praying for you and your new mindset. It’s the absolute right one to have. God Is In Control! (Funnily enough I’m mulling over a blog post with that title, lol!) Go for it! He will NOT let you miss out on THE one! God Bless! I like the casting your nets into deep water mentality. It makes me think of the scripture that tells us by now we should be eating meat but we still need milk. Let’s get to the meat of the situation and see what God has. Good word. You are a brilliant writer and your changes in perception are absolutely life affirming. I’m glad to know you through your work, dear girl. I’m struggling with school and am on the verge of not passing clinical. I almost gave up entirely today. Yet a part of me still feels like there’s some fight left in me, as I’m on a learning plan now. There’s only 3 weeks left and hopefully I can improve during this time. I’m willing to put in the work – I’m just so scared of failing the semester. If God wasn’t watching over me, I probably wouldn’t have received any help at all. So I need to stay strong and take things day by day. It’s hard, but if things work out it will be worth it. Thank you for your encouraging reply. I hope you don’t mind that I screenshot your reply and saved it to my phone as a personal reminder to keep going. Aw so so proud of all the growth you made and the freedom and joy you have found in life by fully embracing opportunities that come your way!! Life is indeed a journey. And in every decision, we should seek God’s will not just one or two decisions like a marriage partner. I think you have the right attitude. Dating should be fun. If it ever goes a bit awry at least you have a great tale for your blog. May the lord sustain your relationship to the point of marriage and beyond! It’s funny that you share about a new mindset to dating because in December God laid it on my heart to spend time this year praying for my husband. Then, at the very beginning of January an acquaintance contacted me asking me if I would be interested in meeting a nice Christian man who went to her daughter’s church. I didn’t realize until then that I hadnt even been on a date in like 7 years. I said “yes”, and even though it did not work out for us, I am so glad I said “yes” to dating. I’m glad you are too! And, God does have our husbands picked out. He has them hand selected for us, and His timing is perfect. I’m excited for you and for me! Love the spirit you show here. I want to thank you for continuing to read my blog. If you find yourself out in Orange county CA let me know, I’d love to have coffee with you.